Purple is my go to colour. 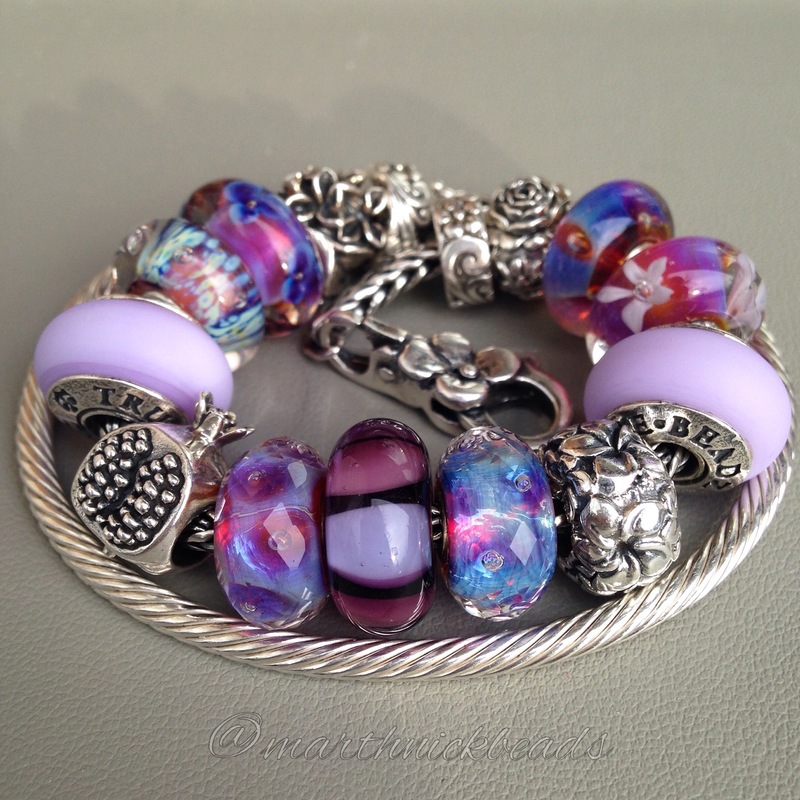 The Trollbeads Faceted Auroras make a great centrepiece for any purple bracelet. 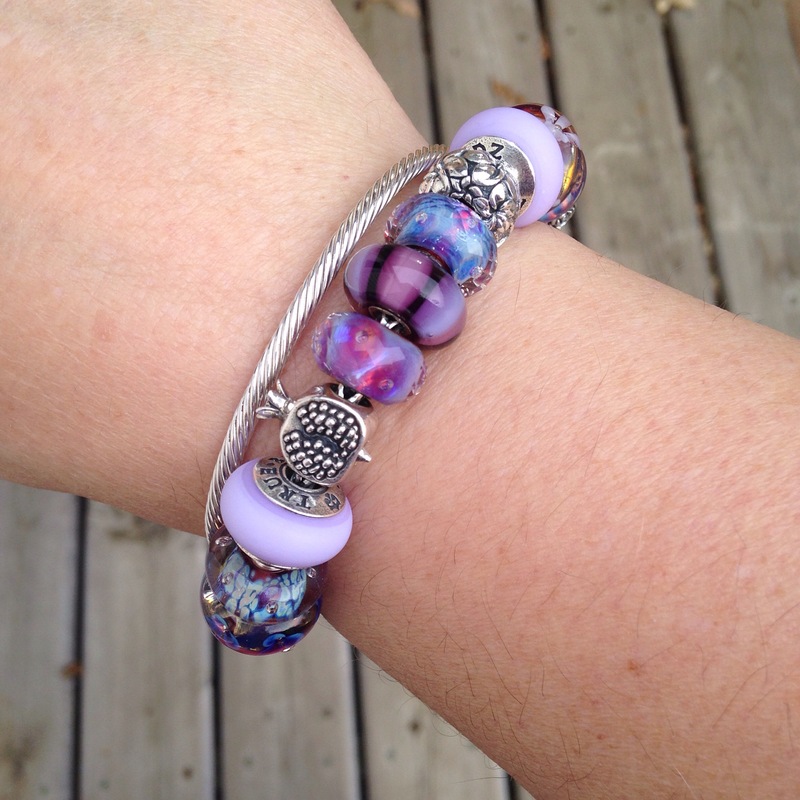 I’m wearing it with my Ohm Beads Twisted Bangle. 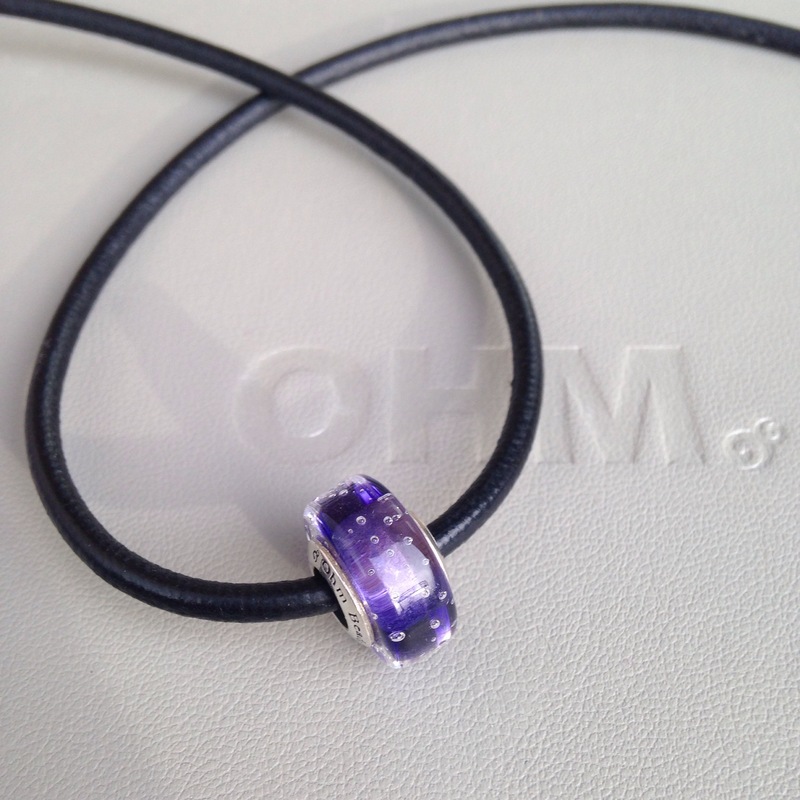 And a solitary purple bead on a leather necklace to go with it. Stoppers and 5/9/13 are by Redbalifrog. 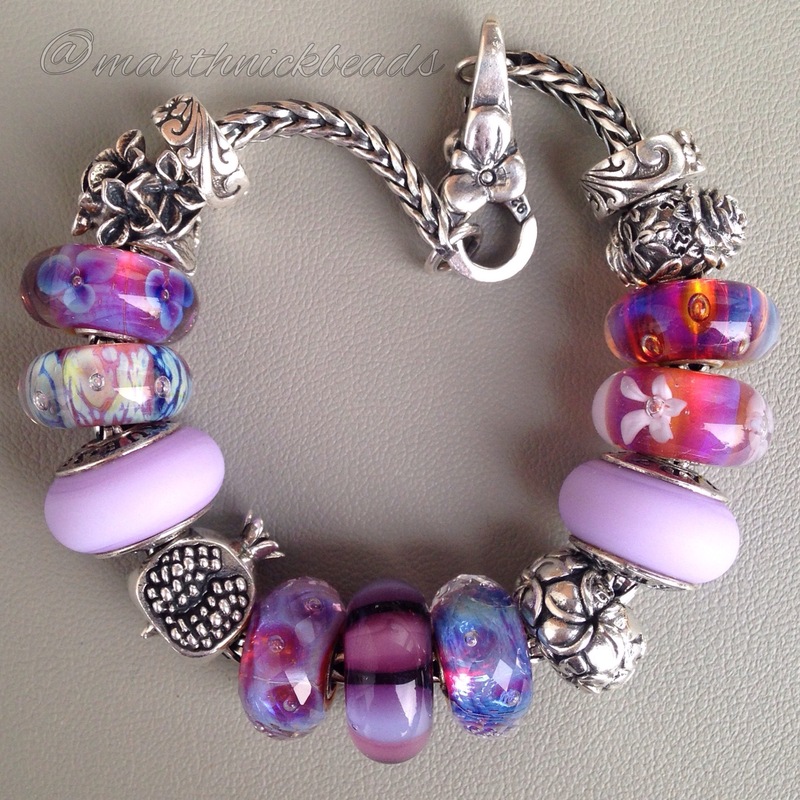 1/4/10 are by True Beadz.